At itemis, we are involved in automotive software projects in terms of modeling (domain specific languages for architecture and behavior), tooling (architecture, feature models, implementation, Machine Learning) and concepts/standards (AUTOSAR, Genivi, openADX). 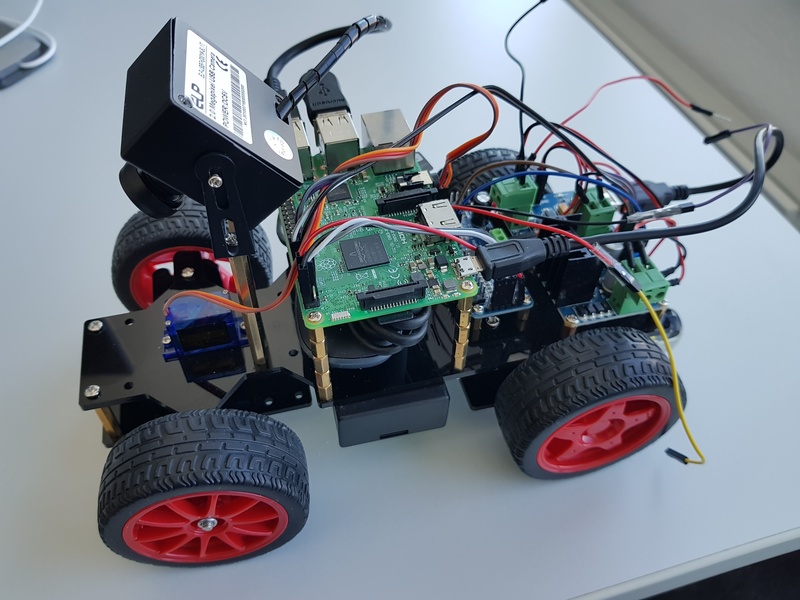 At our office in Stuttgart, we wanted to set up a tangible demonstrator – a robocar platform as a flexible base with an initial showcase of machine learning. Implement software to feed the live image to the trained neuronal network and steer the car automatically. Replace the camera with a fish-eye camera. Otherwise not enough of the lane markings are visible in the vicinity of the car. Put the Raspberry Pi on stand-offs so that we can position the Xbox receiver. The Raspberry PI that sits on top of the car runs Ubuntu Mate Linux. The software consists of a component that controls the car's steering angle and speed by reading the XBox controller. 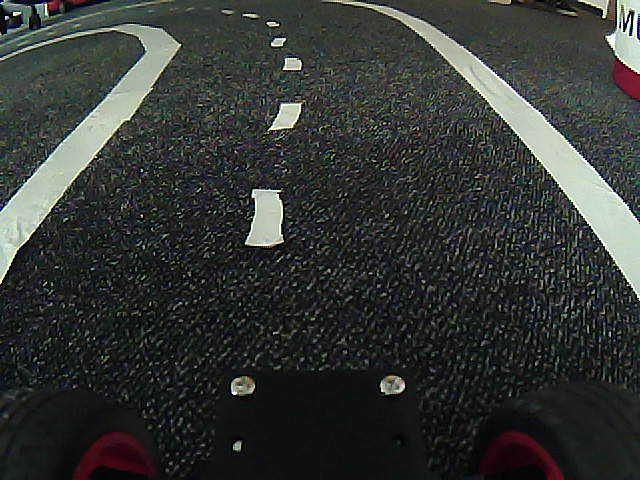 At the same time, pictures from the camera are being read with the OpenCV library and each image is stored with the angle and speed as part of its file name. The autonomous driving approach was inspired by the Udacity Behavioral Cloning project. The idea is, that a neural network learns from the recordings, which steering angle to apply for images. Our training was done on a standard Notebook with Keras on a Nvidia GPU. The trained model was transferred to the Raspberry PI, where the Python-based controller software was executed. The current software is quite simple and consists of a few Python scripts. Next steps would be to apply state-of-the art technologies, such as adaptive AUTOSAR, ROS, DDS etc. Perfect tasks for potential new working students. And Julian, our intern, got so interested in automotive software engineering, that he plans to study that so he can try all this on real cars.